Commercialized GMO wheat is nowhere to be found in supermarkets. But, that hasn’t stopped Barilla from deceptively labeling its pasta with the Non-GMO project logo. Barilla is facing a highly competitive food market. Consumers are switching to pasta substitutes such as vegetable “spiral noodles” and cauliflower “rice.” So how does Barilla keep up with the Joneses? Fear monger around something that isn’t in the marketplace to set their products apart from other brands in their category. A box of pasta with a “Non-GMO” label implies that the product is safer or better than a similar product without the label. That simply is not true. Barilla claims to collaborate with “the most qualified experts of the scientific community.” But, it’s clear that Barilla isn’t consulting experts who know the scientific consensus around the safety of GMOs. 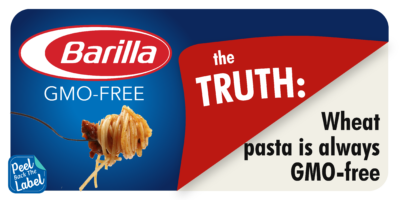 The truth is that Barilla’s pasta is inherently GMO-free. Their distinction without difference spreads confusion and misinformation all in the name of potentially increasing sales and lining their pockets. Barilla claims they make “pasta you can trust,” but they cook up deception with their food labeling. Consumers deserve better than this.